Famous the world over for its stunning whitewater and wilderness experiences, Desolation Canyon in eastern Utah is also a largely undiscovered archaeological treasure worthy of its designation as a National Historic Landmark. For thousands of years, humans have moved up and down the Green River through impenetrable cliffs and Gothic spires, pursuing bighorn sheep, elk and deer, and gathering together a rich harvest of seeds and berries growing along the tributary creeks. A thousand years ago, some of them ï¿½ archaeologists call them the Fremont people ï¿½ even stayed long enough to plant and cultivate maize along the river banks, building stone-and-adobe granaries in the cliffs and becoming the first to put down roots in this forbidding landscape. They did not stay long, maybe a generation or two. 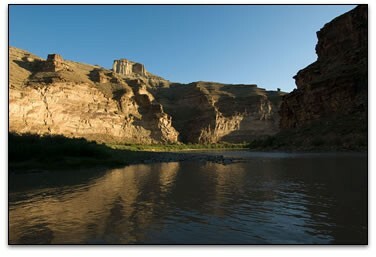 Today, only the abandoned relics and ruins of long-vanished people greet the thousands of visitors who float the nearly 90 miles from Sand Wash to Green River every year. 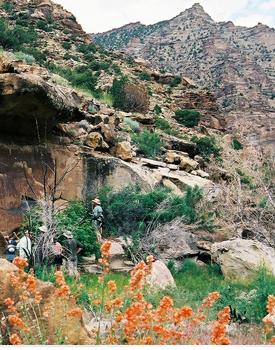 Archaeologists know very little about the people who lived in Desolation Canyon, how they adapted to this remarkable wilderness or what eventually happened to them. Because of its rugged isolation, it has been extremely difficult and expensive for scientists to get into Desolation Canyon to study the remains of past cultures. Beginning in 1931, archaeologists had from time to time ventured into the canyon, but rarely did they write detailed accounts of what they saw. And not until CPAA’s first expedition in 2006 did archaeologists from throughout the region come together to study the canyon in a comprehensive manner. Today, more than 200 sites have been documented along the canyon corridor, and for the first time federal managers have the information they need to proactively manage these sites for their long-term protection. 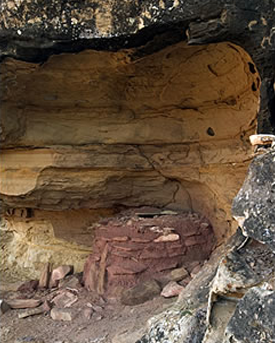 The spectacular archaeological sites of Desolation Canyon collectively constitute an important and largely unspoiled cultural heritage of national significance. Over the past four decades, many of these sites have been discovered and routinely damaged, sometimes maliciously and sometimes inadvertently, by visitors who float Desolation Canyon every year. A large number of sites are in pristine condition and have yet to be discovered by canyon visitors. The vast majority of all sites in the canyon have never been formally documented, and no database currently exists whereby adverse effects can be determined and measured, and through which strategies can be implemented to deter future damage to these sites. Furthermore, there is an absence of basic data as to site location, site condition and the relative frequency and nature of site visitation. 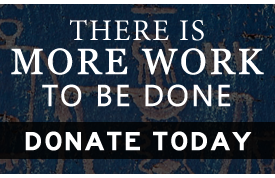 This greatly limits efforts to monitor and protect these resources for future generations. 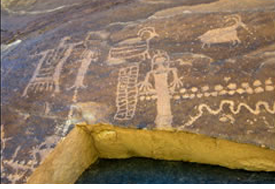 The Desolation Canyon Project is designed to address the urgent need for baseline data by thoroughly documenting cultural resources in areas of the canyon receiving the heaviest visitor impacts and to assess the effects of those impacts on site integrity. This will provide managers with information needed to monitor sites for ongoing degradation and thereby implement strategies to minimize the impacts of site visitation. This effort will also assist in the training of river rangers in site documentation, which will augment the database into the future. This effort also includes public outreach initiatives about the fragile nature of cultural resources, the need to preserve and protect them and the proper behavior expected of visitors to such sites.